Finding storage facilities NJ is important as much as finding a place to live. You need to find storage where you can be sure that your stuff is safe and protected. Before you sign the contract, you need to be sure that your storage company is a good one. Certain moving companies NJ can provide the best storage facilities and the types of units that fit your needs and requirements. If you consider hiring us as your moving & storage company, you should know which type of storage unit you need for your stuff. This way, we will find the best storage facilities you require. First, take a look at your belongings you want to put in the storage. So you will know the size of storage unit you need to rent – find enough space to put all your belongings inside. Think if you want to have enough space to work inside storage or to put your items out than don’t pack your storage space wall to wall. If you don’t have enough space in your home for all your items, but you want to store them in safe space, consider Bergen County movers as your storage provider. There are a lot of choices when it comes to storage facilities NJ. You just need to decide which type of storage unit you need for your belongings and also determine if you want short or long-term storage option. There are many types of storage units, it depends on what you need from it. Ask yourself few things to know which type is the best option for you. Moving companies store items in their own facilities and these units are climate controlled with security systems. This storage option is for those people with a big budget. Also, with professional help you will get the best packing services, moving insurance and storage facilities where movers will put your boxes or furniture. When you are using our moving company to pack and store your items, you don’t need to worry about your stuff. We will handle the job and you can expect properly packed furniture and transported to storage facilities NJ. This type of storage unit is a good option for those who are living in a big city to hold belongings. You can find them in different sizes and with climate control. Also, many self-storage facilities allow renters to visit storage units whenever they want. Perishables. 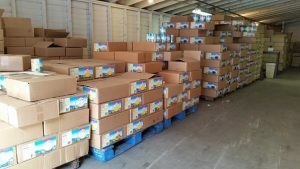 Belongings like food items should not be placed in storage units. Why? Think what can happen when insects feel food. They can cause damages on your items and can make nests inside the storage unit. Also, it is possible an infestation throughout the entire facility. So, with perishables, you risk damages and health risks. Live and Dead Animals. You cannot store live or dead animals in storage units. This is not a safe place for live animals, the condition is cruel: darkness, etc. And dead animals can attract unwanted insects, vermin, mold, and disease. Stolen Property. 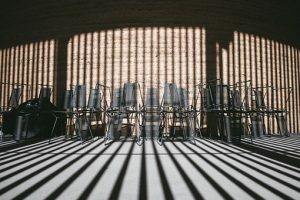 If you have something that is not legal, you cannot keep it in your self – storage unit. This is one of the main rules for renting storage. Fireworks, ammunition, firearms, bombs and fireworks, etc. are prohibited to keep in self-storage units. Hazardous Material. Everything that can cause serious damages if it is opened or spilled is considering like hazardous material. And it cannot be placed in storage facilities NJ. Things like chemicals, gases, anything toxic or flammable, gasoline, or anything containing asbestos can cause a fire, explode or cause health risks. Drugs, which are strictly prohibited in your self- storage unit. 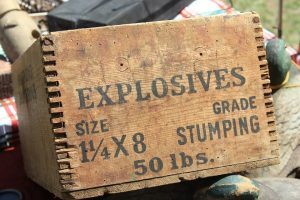 Explosives/Ammunition/Firearms. Fireworks, ammunition, firearms, bombs, and fireworks, etc. are prohibited to keep in self-storage units. All of these items can cause big damages and accidents. If you have these items and you don’t know where to store them you can contact your local gun shop or shooting range. They are equipped to store items like these and many of them can offer you storage units for these items. People. You cannot live in the storage unit. Also, you cannot work from it. Storage facilities are designed for keeping only your belongings and they are not suitable for life and office space. Mobile storage is the best option when you want to load stuff at your location and then to transport it to a storage facilities NJ. Consider hiring moving company to help you pack your stuff and load the storage container for you. It is a better option than to risk possible damages and injuries. This storage unit is a great option when you need to move your storage unit with you. When you are moving your business there are many things you want to move and some of them to store. When you have help from Commercial Movers NJ you will have a clean office and filled with boxes storage facilities. Professional movers know how to make business storage plan, so leave this hard job to experts and relax during the moving day. If you want to store fragile or delicate items like photographs, musical instruments, computers, wood furniture, antiques, and other business equipment it is the best decision to store your items in the climate controlled unit. 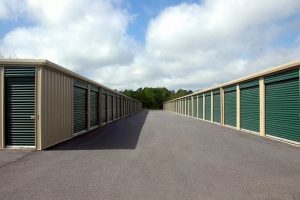 These storage facilities are very big it can be over 200 square feet. That’s why this type of storage unit is the best option to store boats, water sports vehicles, and other equipment. If you don’t have a garage and you are going out of the country, you will probably need a place to store your car. It is the best to rent a storage unit with a lot of space where you can put your car. Some students move easily because their parents live close to the colleges. But, some of them need a place to store stuff instead of moving it again to home during the summer. So, college storage is the best option for the students who don’t want to waste time and energy to move stuff many times during the year. Renting storage facilities near campus will give you a place to store your items instead of moving it back again the next fall. Before you sign contract, you need to do research to find a storage unit that fit your needs. Before you sign contract, you need to do research to find a storage unit that fit your needs. Check storage reviews to have insight into what you should have in mind. Also, go visit storage facility and ask questions you want to know, make sure that is the best storage unit for you. Ask storage owner about rental costs and discounts. If you are moving to Jersey City and you need to downsize to a smaller apartment, the whole moving process can seem overwhelming. That’s why using storage facilities for seasonal items and items you no longer need to make your moving easier and less stressful. That’s why, before you relocate you need to do a good research of storage units and try to get the estimate of storage costs. It sounds great to have extra space in your home? And to pack and move less stuff? So, start searching for storage facilities NJ before relocation. Storage costs also include the value of the inventory, but also depend on the physical size of the items. 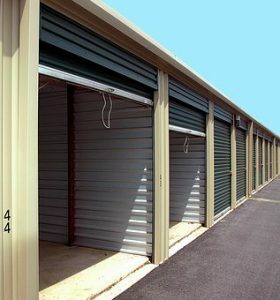 Storage units are the monthly service, so you pay rent every month for it. You can visit it during office hours or if you choose a different kind of storage unit, you can visit it whenever you want. Storages vary in size and other specifics, and the price depends on which kind of storage unit you choose. If you want to rent self-storage facilities the cost depends on the number of spaces or lockers you rent per month. But, also sometimes the cost depends on the space that your stuff requires. So, when you know the size of your goods you will know the price for monthly storage rent. But, remember to get storage insurance if you want your stuff is protected and safe and in case of damages your insurance will cover all damages. Maybe this service will be more expensive but it is more important to rent storage with insurance than to rent cheap storage unit without insurance. 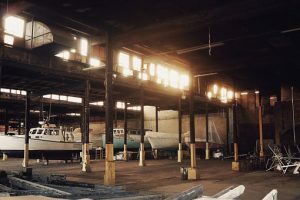 If you have company and you want to store goods in the storage facilities NJ, the cost will be based on annual costs or the company’s opportunity costs. If you have company and you want to store goods in the storage facilities NJ, the cost will be based on annual costs or the company’s opportunity costs. To simplify, if your business has a lot of cash, no debt, and the storage is half empty, then costs for it is relatively low. But, if your company has little cash and much debt with little available storage space, then your storage costs are high. How to pack things for a storage unit to cut storage costs? There are few basic tips how to pack things for storage facilities NJ. You need to know how to prepare your household goods for a storage unit. In case you want to cut your storage costs, you need to know few tricks how to do it. 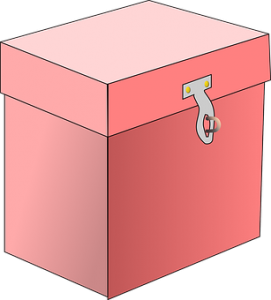 When you want to store items, pack them in each box or container. Also, measure the length and height of the goods using a tape measure, pencil, and paper. In the case when storage unit charges based on square feet, multiply the result by the per-square-foot charge. If you want to pay for smaller storage space, then you should pack your things in a way they take up less space. If you don’t need climate control, rent storage unit without it to cut renting costs. How to estimate storage costs? When you start your search for the perfect storage unit, you should include few factors that have an impact on storage price. Location – When it comes to storage costs, location is the big factor. When your storage has access to major areas, the cost is higher. Value-added services – When you want storage unit with services like handling your inventory, packing goods, delivering, etc. the price for monthly rent will be higher because of these additional services. Terms of contract – Terms of the contract also are a big factor in storage costs. How? The cost depends on your specific terms like – a specified long period of renting, or if you want to terminate the contract when you want. 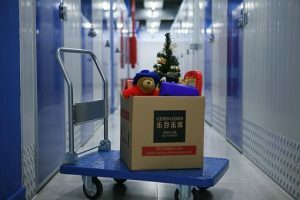 Other conditions – Other conditions that impact storage costs are things like air-conditioner, security, visiting time, etc. But, all these factors are not the rule for all storage facilities NJ, for the exact price for your storage unit you should ask our moving & storage company to estimate storage cost. So you can find the best storage unit that fits your budget. Just contact us and get the best storage solution for your belongings.